This Madrid Segway tour is probably one of the most exciting ways to explore the heart of the capital with one of the most environmental-friendly vehicles. With the 3 different Segway tours of Madrid, you can choose which one suit you best: Downtown tour, Madrid & Mercado San Miguel tour or the All Madrid Tour (see itinerary for detailed description of each). 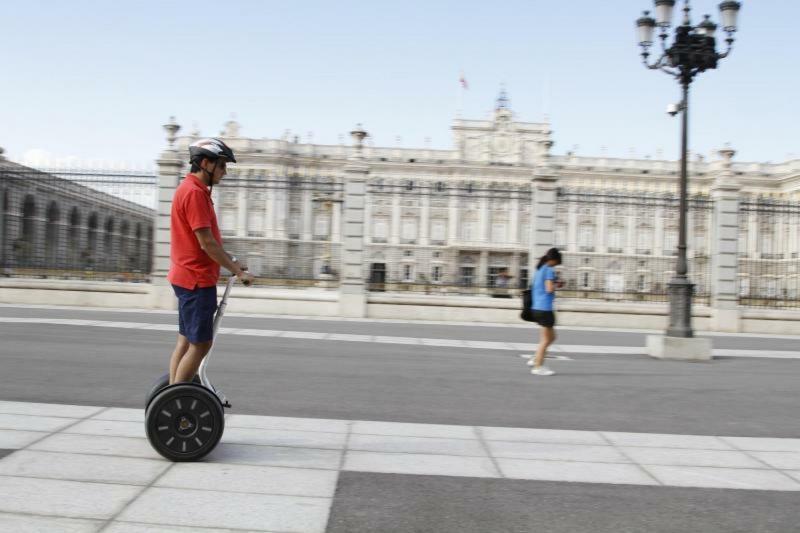 You will Segway past Madrid´s breathtaking historical landmarks, famous plazas, streets, gardens, statues and other important areas. 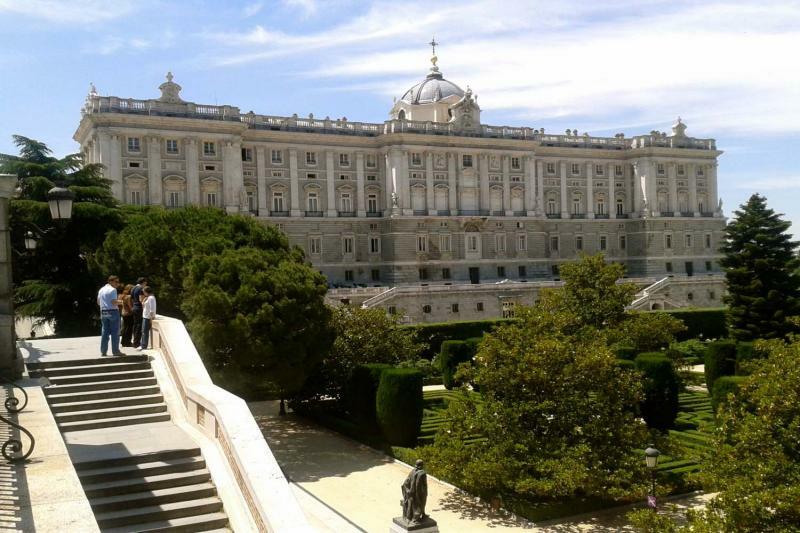 A superb way to discover Madrid´s highlights in just one day! The Madrid Downtown Segway tour starts off in Plaza de Callao – one of Madrid’s most lively and commercial areas that represents a mini version of New York´s Times Square. On your way to Plaza de España, where you will see an incredible statue of Don Quixote (protagonist in Miguel Cervantes worldwide-known novel) and Madrid´s very first skyscraper, Gran Via will be taken – the most hustling and bustling street of the capital. The Segway journey will then continue onwards to Paseo del Pintor Rosales where you will see the astonishing Templo Debod – an ancient temple that once stood in Egypt, was dismantled and reconstructed here in Madrid in the 1970s. The area where the Debod Temple stands offers phenomenal views of Madrid and returning here in the evening to watch the sun set never dissatisfies. 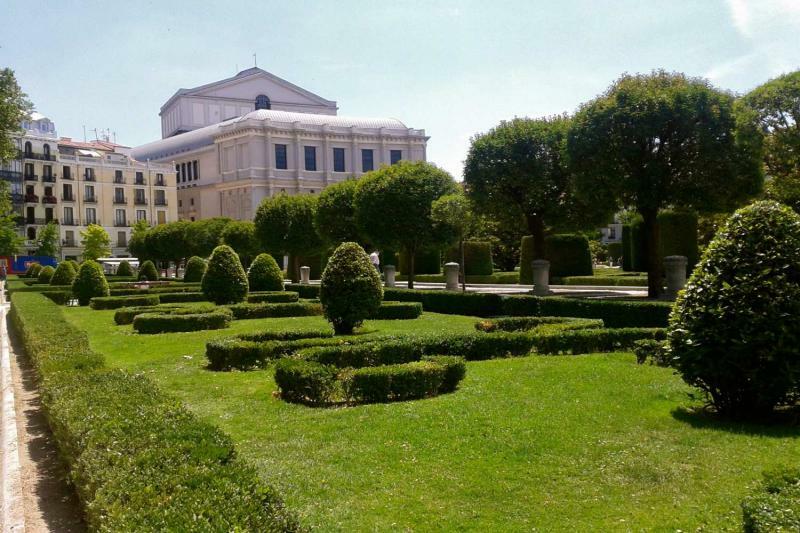 The last destination of this Madrid Segway tour following the Debod Temple is Plaza de Oriente, home to the Royal Palace, Royal Theatre, Sabatini´s Royal Gardens and the picturesque Almudena´s Cathedral. 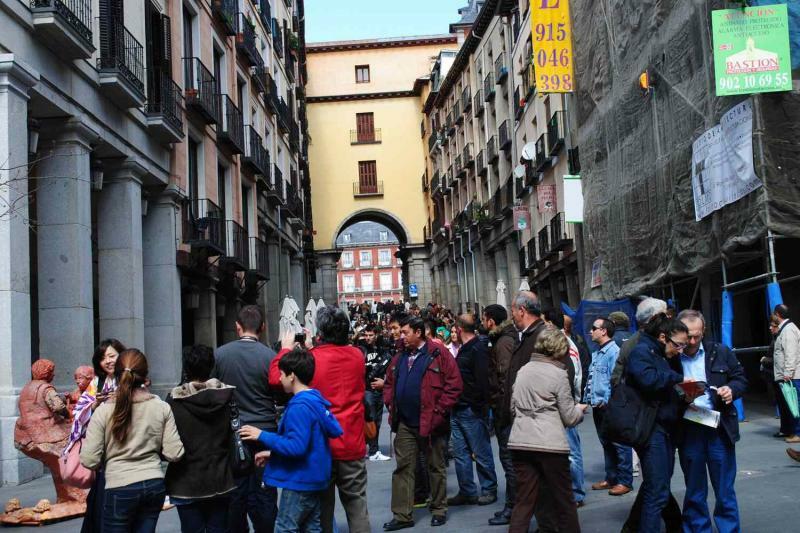 A fantastic downtown tour to enlighten your trip in Madrid! It takes 1 ½ hours to complete. 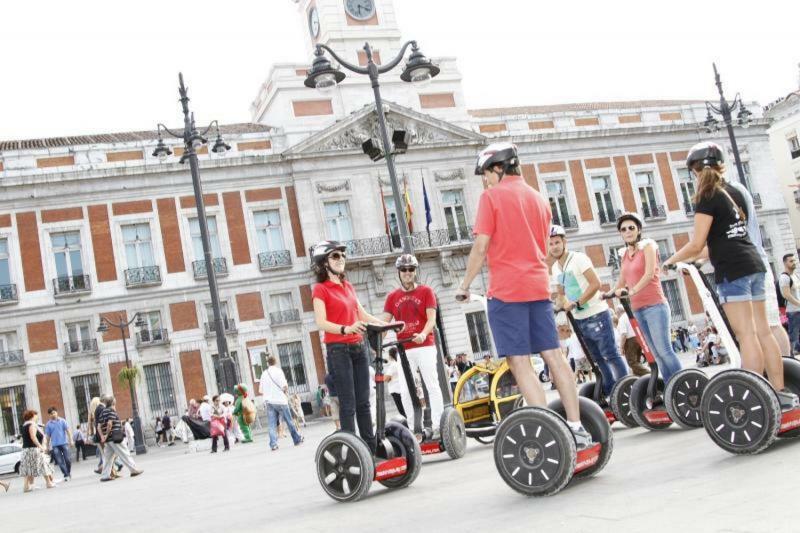 The All Madrid Segway Tour truly gives you insight to the ins and outs of the capital. With a start-off at the plaza de La Opera, the first part of the tour will be visiting Madrid´s old part of town where you will see the beautiful Royal Palace of Madrid along with the Royal Theatre and Almudena Cathedral. Plaza Oriente – the square situated opposite the palace also offers views of spectacular maze-like gardens and various sculptures. 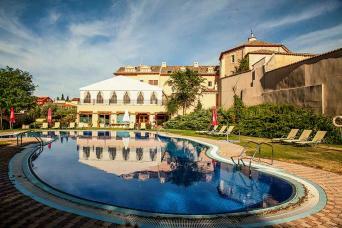 You will then head towards La Montaña Park, home to the famous Egyptian temple – Debod. This part of the Segway tour offers much more than one expects; incredible panoramic views of Madrid with the Guadarrama Mountains in the horizon. After this, you will get a chance to cross the Segovia Bridge – one of the oldest in Madrid built in 1564 before reach the San Miguel Market. 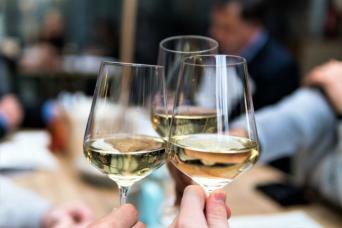 Being the most popular food market in Madrid, you will find every kind of gourmet Spanish tapas here. Naturally, you cannot miss out on Madrid´s lively Plaza Mayor and Santa Ana Square, therefore following the break you will discover the history of these squares. 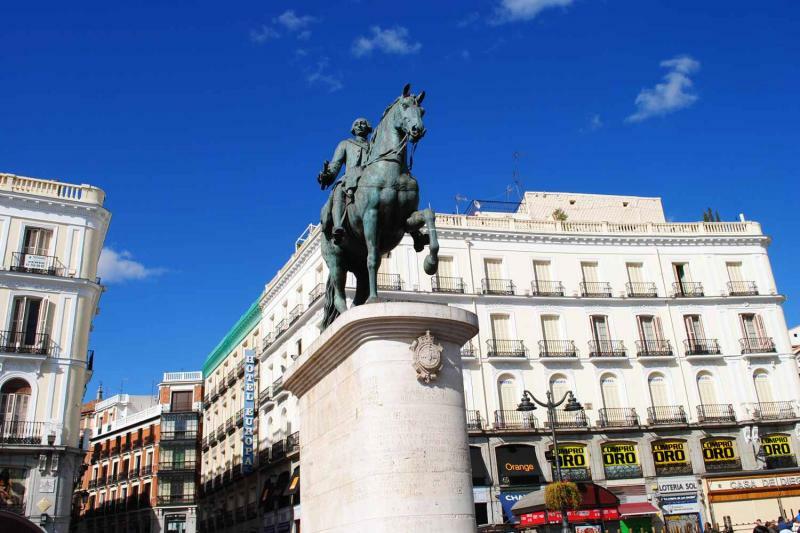 For the last part of the All Madrid Segway Tour, you will get to see the renowned Prado Museum and more incredible monumental statues through visiting Plaza Neptune, Cibeles , Puerta de Acala (Roman-built gate) and Puerta del Sol. It takes 3 hours to complete.